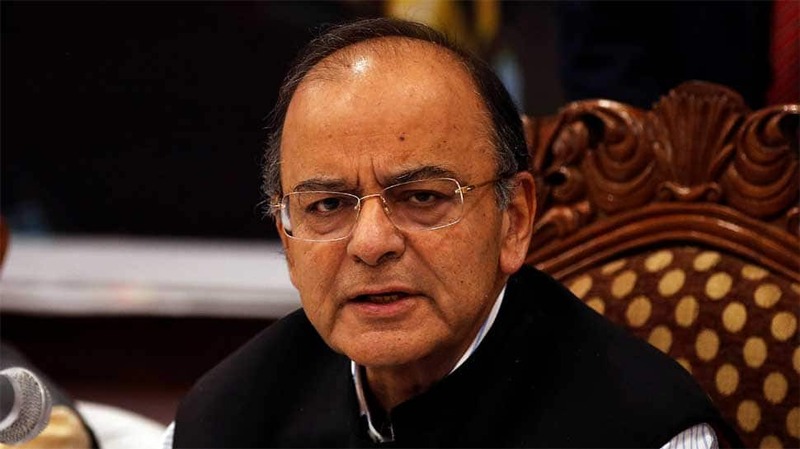 Union Minister Arun Jaitley on Sunday lashed out at the grand alliance of the opposition parties claiming that they are the new emerging breed of ‘institution protectors’ who are shedding crocodile tears for democracy. “They criticise the Government the maximum and simultaneously argue that the free speech is in danger. They shed crocodile tears for democracy and make every effort to convert the world’s largest democracy into a dynastic one,” he said in a blog on Facebook hours after returning to the country after his treatment in the US. Calling Congress chief Rahul Gandhi a failed student, Jaitley hit out at him for constantly attacking Prime Minister Narendra Modi. “If we analyse Rahul Gandhi’s two speeches on Rafale, they are based on a personal hatred for the Prime Minister emanating from envy. A failed student always hates the class topper,” he said. Jaitley’s blog titled – ‘Institutions Under Attack’ – The Latest Fabrication, is in response to the allegations levelled on the government by the Opposition parties on several counts including Rafale deal, EVM, and the latest being the standoff between West Bengal Police and the Central Bureau of Investigation. On the contrary, what is the track record of the Government’s opponents with regard to their attitude in relation to the judiciary? The impeachment motion filed by the Opposition on unsustainable grounds was only an attempt to intimidate the then Chief Justice of India and set an example for other judges – youtoe our line or we can create an embarrassing situation for you. That was the loud and clear message. Lawyers opposed to the Government have consistently used intimidation of judges as a court room tactic. Walk out of court hearings, to social media campaigns against the judges was unprecedented but today a reality. Using the instrument of falsehood they have preferred several petitions where facts have actually been found to be false inviting severe strictures from the court. The glaring examples in this regard are the falsehood with regard to Judge Loya’s death, the Rafale issue, the fake voter list scam in Madhya Pradesh and the Vyapam case. In each of the cases, the facts stated were found to be false. Notwithstanding the judgements of the Court, many opposition leaders continue to still rely on the same falsehood. Adverse judgements have led to a campaign against the court. We witnessed a social media campaign against the judgement in the Judge Loya case. After the recent Rafale judgement, one of the petitioners (a former career nationalist) announced that the Supreme Court had lowered its credibility by deciding the Rafale case. There are two critical features of these new emerging breed of ‘institution protectors’. They criticise the Government the maximum and simultaneously argue thatthe free speech is in danger. They shed crocodile tears for democracy and make every effort to convert the world’s largest democracy into a dynastic one. The number of BJP-RSS workers killed in the Left Front ruled Kerala and the TMC Ruled West Bengal should shock the conscious of a nation. In West Bengal, democracy is seriously under peril. BJP leaders can’t land, public meetings are being prevented and the Rath Yatra was disallowed. The Congress Party’s stand on multiple issues is self-contradictory. It slaughters a cow before the cameras in Kerala, and invokes the National Security Act against the cow killers in Madhya Pradesh. More than any institution it is the country whose interest is paramount. These ‘institution protectors’ support the legitimising of illegal infiltrators into India. They readily jump to the support of those who want to dismember India. The Congress aligned with the Maoist in the recent Chhattisgarh elections. Rahul Gandhi stood shoulder to shoulder with the ‘Tukde Tukde’ gang at the Jawaharlal Nehru University. The Congress was in the forefront of defending the urban naxals in court. And yet it claims to be friend of both, the idea of India and its institutions. It is about time that India and its institutions are protected from these ‘institution wreckers’.